A few days before my daughter’s third gymnastics meet of the season, she began to complain of heel pain in her left foot. She’d been practicing hard and I just chalked it up to overuse. When the heel of the left foot began to swell, I still didn’t think much of it. We simply iced it, and she took some Ibuprofen. For a few days, all seemed well, and neither of us thought any more about the heel pain. At the third competition of the year, my daughter was warming up her vault, her favorite and best event, and she was struggling. Sometimes, I notice when she’s struggling even if others don’t because I know her so well. I tried to get her attention from the stands, but she’s all business at the meets. When she went to warm-up her second vault, she couldn’t hurdle onto to the trampoline and kept landing on the table. It was very odd, and all the parents from our gym noticed right away that something wasn’t right. She immediately ran to her coach, and I watched as they talked. Next thing I knew, my usually brave girl was coming towards the stands with tears in her eyes. The vault was the first event of the day, and when my daughter came limping over to me with tears in her eyes, I knew something was wrong. She asked for Ibuprofen and went back to the competition floor. Shortly after, I watched with baited breath as she competed for her vaults. Instead of doing a half on/half off vault and a handspring vault, she opted just to do two handspring vaults. She made both of them and ended with a 9.05 score. However, I noticed as she walked away that she was favoring her right leg. Later she told me the only way to alleviate the pain was for her to walk on her tippy toes. At the time, I thought this was silly. However, when she relayed this information to the sports medicine doctor, and later the physical therapist this information proved to be a big part of diagnosing her injury and figuring out how to relieve her pain quickly. Swollen Left Foot – As soon as we hit the truck after the meet, she removed her socks and shoes. I’m used to seeing her swollen here and there, but I knew this was a different kind of swollen. Unfortunately, it only got worse from here. By the time we left the meet, my daughter’s foot was so swollen she could barely wear her shoe. We iced it while we drove home and I called the doctor as soon as possible. 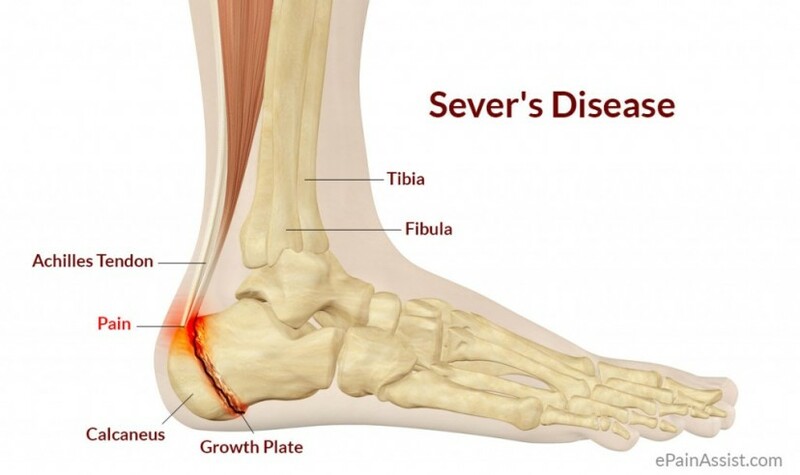 As soon as we walked into the ortho’s office, they determined it was Sever’s disease. I was immediately worried because Sever’s disease sounds like something absolutely awful. However, it isn’t. In fact, it’s very common in young athletes, is easy to manage, and usually goes away completely when they are done growing. With so much technology available in the medical field, I was surprised to see the doctor squeezing the back of my daughter’s heel. When he gently put pressure on both sides of the heel at the same time, she nearly jumped off the table. Not only was the Sever’s disease affecting her heel but it was putting great pressure on her Achilles tendon and her growth plate. At 4’9″, and 90lbs, my daughter wears a size 8 women’s shoe. As a result, the boot looked enormous in comparison to her tiny body. There are many ways to treat Sever’s disease. The way the condition is treated depends greatly on the child, their activities, and how close they are to being fully grown. My daughter is 11, a competitive gymnast and about 75% done growing. Because keeping her off her feet wasn’t a realistic option, the doctor opted to immobilize her foot with a walking cast and ordering aggressive physical therapy. We discussed a traditional cast, but the orthopedic doctor we go to prefers to use a walking cast rather than a traditional cast because it prevents kids from losing all mobility in the foot and promotes recovering quicker. As soon as my daughter realized she was going to be immobilized she was worried about competing. She’s naturally competitive, and competitions are one of her favorite things on the planet. At the time of injury, she had a little over a month until the next competition. The doctor told her recovery could take two weeks to two months. 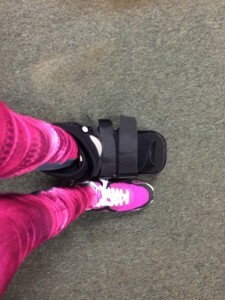 He further explained that the more compliant she was with PT, stretching, and wearing the boot would determine how quickly she healed and when she would be able to compete again. With that in mind, we attended our first physical therapy session. The physical therapist we chose is well-known in our area and also a competitive athlete. He really broke down the basics of this condition and related to us just how common it was. He then explained to my very muscly daughter that she should lay off the strength work and add some serious stretching to her regimen. If you are familiar with gymnastics, you know there is basically two types of gymnasts. The lean gymnasts and the bulky gymnasts. My daughter belongs to the second category and works hard to build more muscles and a tighter core on a daily basis. What she forgets to do is work on her flexibility and her stretching. In fact, she rather do 20 pull-ups, 100 crunches, and run a few laps rather than sit in her splits for a minute. Unfortunately, this habit contributed greatly to her most recent predicament. When the physical therapist evaluated my daughter, he was impressed with her amount of muscle at such a young age, and even more amazed, at just how tight her hamstrings were. He explained to us that children with short or tight hamstrings are extremely prone to Sever’s disease because of the connections in the body. After 3 weeks of multiple sessions of PT, my daughter is boot free, extremely more flexible, and ready to compete. Through physical therapy, she learned how to stretch her hamstrings, calves, toes and feet, and got some groovy preventative compression socks with sewn-in heel cups to help prevent Sever’s disease from returning. Sever’s disease occurs most often in girls ages 10 to 15. While it can surely affect any child, it is most common in athletes. Specifically, athletes that participate in gymnastics, soccer, and basketball. During a rapid growth spurt, the heel bone grows extremely fast. When the heel bone grows faster than ligaments, muscles, and tendons, it can cause problems and pain that lead to a heel injury. The best way to deal with this is to address it and not ignore it. An athlete suffering from Sever’s disease needs to learn how to stretch their muscles, rest when needed, and wear preventative gear to prevent the disease from taking them out of the game. The awesome thing, if there is such a thing, about this diagnosis is that it isn’t permanent, it’s easily managed, and she should simply outgrow it. 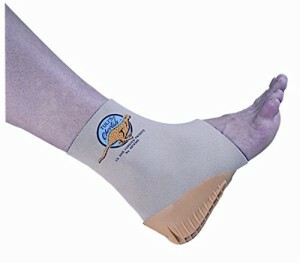 My daughter’s sports medicine doctor recommended ordering her a pair of Tuli’s Cheetah heel protectors to use at gymnastics practice and during competitions. It’s important to consult the sizing guide when ordering these. The adjustable version of these products is not recommended for athletes. My daughter wears a size 8 women’s shoe. We purchased a Medium for each foot, and it fits perfectly. In the meantime, she has some work to do. She now needs to wear the Cheetah compression socks with heel cups when she tumbles, vaults, and even on the beam. She also has to stretch carefully paying special attention to her hamstrings, calves, ankles, and toes. For heel pain, the doctor recommended anti-inflammatory medications and ice. However, if the pain lasts for more than a few days, we need to go back to physical therapy. But, if she follows the guidelines she’s been given, she shouldn’t have to sit out at gymnastics or be immobilized again. The best part is that she will eventually grow out of the disease. Since Sever’s disease is related to growth spurts when she is done growing, she shouldn’t have any more issues with heel pain. This article was originally posted on hubpages, it’s republished by author’s permisssion. Disclaimer: This information is designed for educational purposes only. You should not rely on this information as a substitute for, nor does it replace professional medical advice, diagnosis, or treatment. The use of any information provided on this site is solely at your own risk. 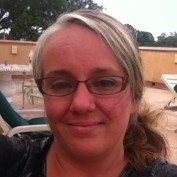 Tawnya worked in a family practice physician's office for years before she began writing. Her tween daughter is in the midst of her fourth competition season and is currently competing Xcel Gold in NE Ohio. Im 13 male, my heel hurts when i start to run a lot and can relate to what she had. Do you think i have severs disease?